A unit of international media group Naspers, namely its subsidiary Myriad International Holdings, is to buy a 28.7% stake in Digital Sky Technologies (DST), the Russian firm behind investments in notable Internet companies like Facebook, Groupon and Zynga. 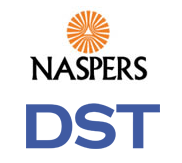 Naspers will be investing $388 million in cash, and contribute its 39.3% stake in Mail.ru into DST. Concurrently, Mail.ru management and other minorities will also convert their shares into the investment firm, and when the transaction closes DST will own 99.9% of Mail.ru, Russia’s largest Internet portal by a margin. Remember when we reported Naspers was actually in the running to buy ICQ on its own back in November 2009? Well, we’re almost full circle now – DST recently became the new owner of the instant messaging pioneer. Three months ago, China’s Tencent also made a strategic investment (to the tune of $300 million) in DST. Now guess who owns 35% of Tencent?